Consultant business plan template – Are you searching for a consultant business plan template because you’re interested in becoming a consultant? If so, then you’ve come to the right place. Not only does Consultant Journal have excellent consultant business plan template resources, but we also have over 900 valuable articles that explain every aspect of becoming a consultant, from consultant finance to marketing your consultancy. If you are working on a consultant business plan template you are taking the right approach to your business. Writing a consultant business plan is key because the act of putting your business plan together motivates you to plan for a successful business and to iron out a lot of kinks in advance. 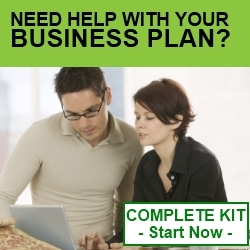 Are you looking for a comprehensive consultant business plan template? In order to help fast-track the completion of your consultant business plan and to make sure that you use accurate numbers, check out our guides, workbooks and courses in the Consultant Journal store, including the invaluable guide on consulting fees: Consulting Fees: A Guide for Independent Consultants.